We have a new-look newsletter on the way to your inboxes! We're updating and moving to a new platform. As a result, you may find that it doesn't hit your mailboxes. If you don't receive one, please have a look in your spam/junk folders and be sure to use the link at the bottom to add us to your address book. It will have the subject line "Latest community news and events from Waikato Environment Centre". We hope that you enjoy the new format. If there is anything that you find to be unhelpful or problematic, please let me know (sarah@envirocentre.org.nz). We value your feedback. 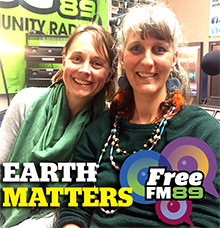 If you missed this week's Earth Matters radio show, you can catch up by listening to the podacst on Free FM on Demand. In this week's show, Sam spoke about the work of the Global Ecovillage Network (GEN) and focused on the Ecovillage Design Education and auditing a community for sustainability.The GEN envisions a world of empowered citizens and communities, designing and implementing their own pathways to a sustainable future, and building bridges of hope and international solidarity. Accommodation: There is a shearers quarters available to stay in, there is enough room to sleep 8. If you would like to tent there is plenty of flat ground around the quarters to set up tents. Let me know your preference. Accommodation costs will be covered. The quarters have hot running water and a fridge freezer, bring your own cutlery, pots and pans etc., just in case. Bring: Camping gear (including gas cooker as one stove might not be enough), sleeping bag, pillow, food, sturdy boots. We will be visiting Awakino Scenic Reserve on the Saturday. Awakino Scenic Reserve is a hard beech forest with a coastal influence. On Sunday we will be taking a look around Stuart Russell Reserve, a Native Forest Restoration Trust Reserve which contains the most northern hard beech forest where hard beech is the dominant forest type and as well as a few coastal oddities. On Monday we will have a look around some recently protected wetlands on a local farm (this may change due to access and we may visit some coastal saltmarsh). Please let me know of your intention to join by Thursday. Any questions send me an email or give a call: Kerry Jones 027 747 0733. 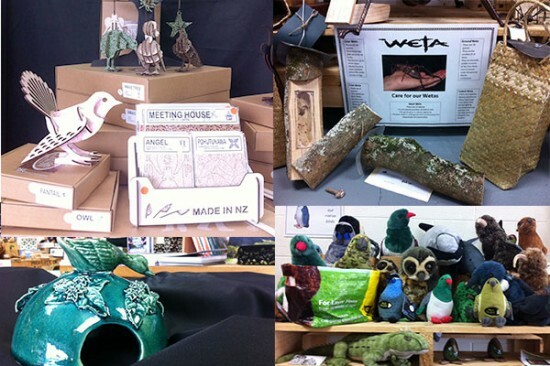 NZAEE Waikato Meeting - help us design our next event! At our AGM late last year we discussed hosting a climate change education forum related to the sea during Seaweek 2017 (25 Feb to 5 March). This forum would be aimed at educators to help them learn about climate change and how to educate about it. It was proposed to hold the forum at the Chartwell Room at the Hamilton Gardens on the evening of Thursday 2 March. The format may be a panel of speakers followed by small group workshops. Possible panellists and members who would approach were noted. It's a free, shared meal event, so bring your own picnic blanket or something to sit on, plates, cutlery, and of course your favourite vegan dish to share (i.e. no animal products: no meat, dairy, honey, or eggs). As this is a family event please don't bring alcohol. 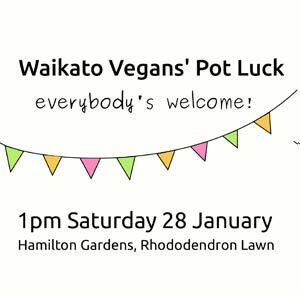 You can join the Waikato Vegans Facebook group, for updates or questions. A clothes swap is a great way to recycle unwanted clothes (or that item that really is not ever going to fit, ever again) and update your wardrobe in a fun way. There are different ways to do it but we will keep it really simple and do a straight swap; not worrying about assigning values to items or putting a limit on how many items people can leave with but being considerate at the same time. Bring 2 - 5 (or more) quality items that you are happy to see go to another home. Items can be clothes, shoes or accessories (jewellery, scarves, hats, belts etc). Items must be in good condition with no damage. I know that size is a sensitive issue for some and you may not feel like you will be able to benefit from the swap but there are lots of clothes that are multi fit and with the inclusion of accessories. I'm sure there will be something for everyone. Once a few people have arrived and there is a fair selection of goodies we will all politely rummage through the piles. If you like it keep it, if you don't put it back on display. 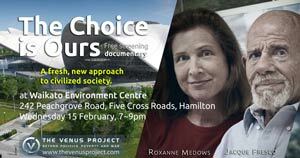 The Venus Project is organising a free screening of the movie The Choice is Ours. The Venus Project proposes an alternative vision of what the future can be if we apply what we already know in order to achieve a sustainable new world civilization. It calls for a straightforward redesign of our culture in which the age-old inadequacies of war, poverty, hunger, debt and unnecessary human suffering are viewed not only as avoidable, but as totally unacceptable. The screening of 'The Choice is Ours' is coordinated by Kevin Ma. Kevin is the Point of Contact for The Venus Project in New Zealand. Kevin came to know The Venus Project in 2012 after watching a documentary film called Paradise or Oblivion. The message in the film resonated with Kevin's beliefs so much, he felt compelled to do something to make the changes he wants to see in the world and he become a Point of Contact for The Venus Project. Kevin would like to invite you to the screening of 'The Choice Is Ours'. This is an opportunity to explore together, with like minded people, a possible alternative future for our world. An exciting opportunity has arisen at the University, for a part time Sustainability Coordinator, 15 hours per week. See the attached job advert below for more information. Getting to Hamilton's high schools and intermediates is easy by bus. 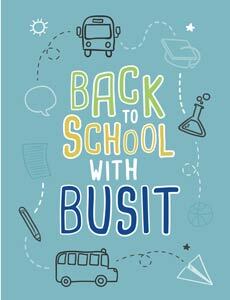 With 28 routes crossing the city, most schools are either on a bus route or just a short walk away. Further information is available in the flyer attached below. Explore the map to find out your easiest route to school. Or check out the Journey Planner, which provides door to door journey options and travel times. Staff at the Waikato Environment Centre are taking part in the Aotearoa Bike Challenge this February. This summer the New Zealand Transport Agency is rolling out an exciting new campaign to boost cycling all across the country. With tailored guidance and tips, a friendly workplace competition, and lots of great prizes on offer, it's a great time to ride bikes in NZ. They also have local leaderboards for Wellington, Auckland, Bay of Plenty, and New Plymouth! Join the Aotearoa Bike Challenge today! Then like it on FB! Port Waikato Beachcare and Art@thePort are hosting a "Meet the Shorebirds" day on Saturday 21st January at Port Waikato. The attached flyer has all the details and there is also a Facebook event page. Dave Campbell & Al Fleming are organising a half-day workshop specifically for environment organisations/NGOs and groups interested in the proposed Healthy Rivers Plan Change 1. The draft programme for the 2017 Waikato Botanical Society trips is out. See the attached programme below. Bring your family and friends to this free, fun bike event which is a must for all those who enjoy biking or want to build their biking confidence. There will be great prizes to win on the day (including three new bikes), a bike decorating stall, bike checks, bike races and biking skills demonstrations for all ages and levels of experience. Register here​ (registrations close Thursday 9 February 5pm). Sustainability is a huge challenge for the fashion industry. From the environmental impacts in the manufacturing of textiles to the social impacts of an insatiable appetite for cheap, fast fashion. 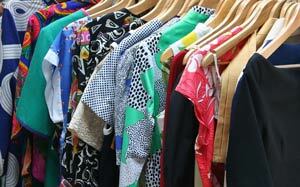 However, there are so many pre-loved treasures out there that sustainable fashion can be easy. 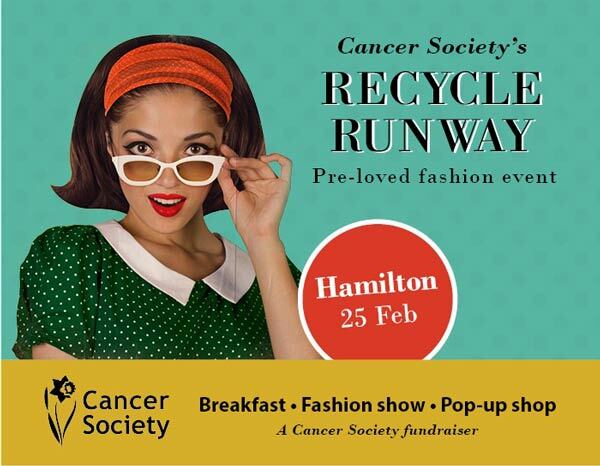 The Cancer Society is hosting Recycle Runway a great opportunity to shop for quality second-hand fashion while supporting the Cancer Society. A treasure trove of pre-loved women’s clothes and accessories awaits at the Waikato/Bay of Plenty Cancer Society's newest fundraising event. Limited tickets are available, so we recommend getting your girlfriends together and purchasing your tickets now to avoid disappointment! *No swimwear, underwear or sleepwear. For more details, contact event coordinator Alison Duncan or phone 07 903 5816. 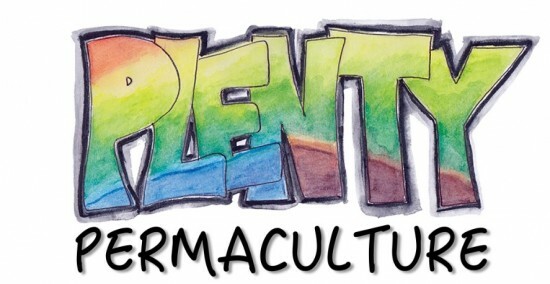 Learn to do permaculture design so you'll love your property and it'll love you back! Paula has an over abundance of bokashi compost so has some bucket loads to give away. 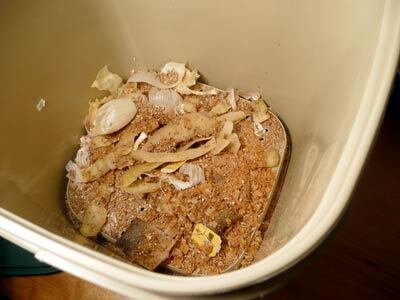 It's a great compost activator that you can add it to your compost bin. Alternatively, simply trench it in to the garden and in a few weeks it will have composted down completely. This week we are excited to welcome Kelli Pike to the WEC team. Kelli brings heaps of retail and business experience to the centre. You might recognise her as the owner of the vintage store Teacup & Saucer and the person who ran Market Place. A long-time lover of vintage, as well as local and handmade, Kelli has a strong commitment to promoting sustainable consumption and so will be a perfect fit for our eco shop. Kelli also has her own radio show Kelli From The Tron in which she promotes living the good life in the Tron. Her weekly show brings news, views and local music to past and present Hamiltonians. Drop in and say hello to Kelli while you do some Christmas shopping. We know that she is going to be a great addition to the team. Just a reminder of our holiday dates and times so that you know when we'll be here and when we'll be putting up our feet for a rest. It's a busy time at work for everyone and it can be a squeeze to get prepared for the festivities as well as get through the workload. To help with that, we have a couple of late nights in the shop coming up so that you can pop in after work for some last-minute shopping. Thursday 22 December until 7pm. Saturday 24 December 2016 at 2pm until 10am Monday 16 January 2017. Earth Matters next week will explore sustainable consumption. Anna and Sam will look at the consumptive system that we cocreate and the underpinnings of gift-giving. Find out how you can give sustainably by listening in to the wonderful Jan Graham, showcasing the Eco Shop and it's wonderful array of products at Five Crossroads, Hamilton. Silly season sustainabilty is possible! As you can see in this video below they are a valuable free resource which adds nitrogen, phosphorus, potassium, magnesium, copper, calcium, zinc, manganese, and iron to your garden. 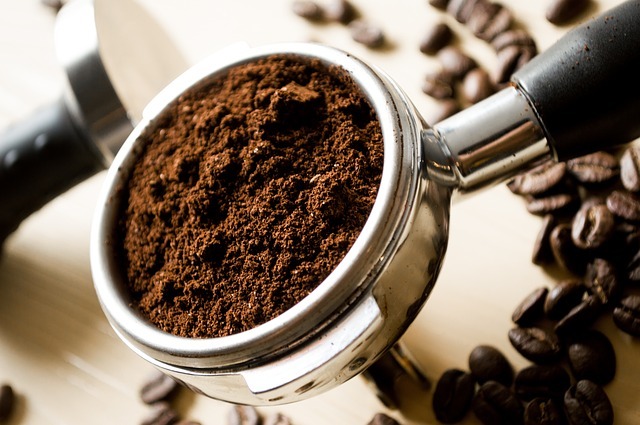 Free used coffee grounds are available at cafes and service stations in Hamilton. The cafes and service stations that put the used coffee grounds outside make it very easy to pick up. BP Victoria St - good size bags in clearly labelled bin outside. 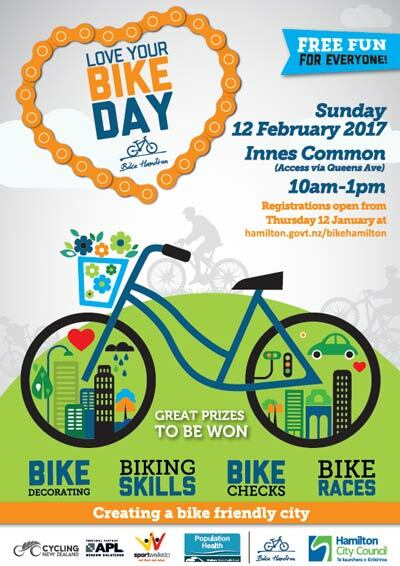 Do you know of any others in and around Hamilton? Please ask your local café or service station or both and use this valuable resource and stop it being dumped in the landfill. Weave Twilight Market is back again this year! Cross the world in a few hours by tasting delicious food from 13 different countries -including Colombia, Afghanistan, Burma, Congo, Thailand, Philippines, Korea, Argentina, Japan, Singapore, Mexico and more. Travel to new countries by getting involved in crafts, henna, eyebrow threading, hair braiding and face painting. Bring a rug or fold-out chair and enjoy the cultural performances while eating your food. All profits made go to DOC! 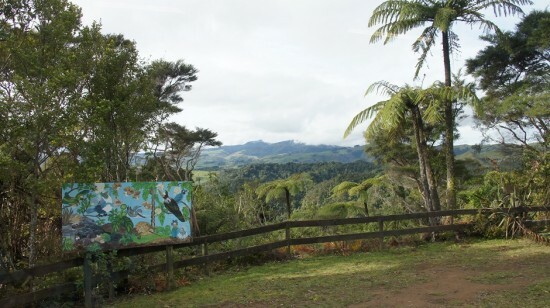 Pureora Forest Park was the scene of the famous tree-sitting protest of 1978 that stopped the logging of one of the last remnants of old-growth podocarp forest in the central North Island. This book reviews that event in the broad context of the geological history of the volcanic zone, its flora and fauna, and the history of Maori and European utilization of forest resources. Chapter length discussions cover management of the native forest by the New Zealand Forest Service; the forest village and its sawmills; the intensive timber harvesting, and the conflicts with conservationists and expensive compensation agreements that ensued. Separate chapters cover initiatives to protect the forest from introduced herbivores; to guard protected species, especially birds, from predators; the facilities for recreational hunting; the development of the Timber Trail, an 83 km cycleway through the forest and along old logging tramways, complete with detailed interpretation signs illustrating the history of logging; and the family recreation areas and tracks. The book is a unique and informative companion for any visitor to this beautiful and significant forest. Co-published by Springer Verlag and the New Zealand Department of Conservation, Hamilton. It's all go here at the Centre while we try to get through our busy to-do lists and get ready to shut the doors for the holiday. Below are the dates and times so that you know when we'll be here and when we'll be putting up our feet for a rest. Sustainable gifting doesn't mean disappointment and boring presents. We have lots of awesome Christmas presents and stocking-fillers for all your whanau and friends here at the centre. 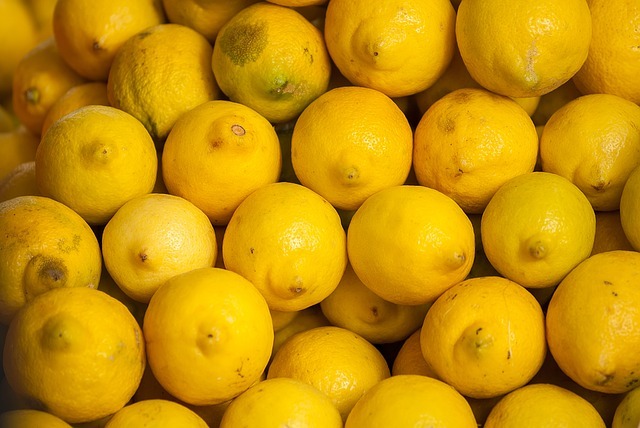 From gardening delights to fancy knickers (those famous Thunderpants), candles that smell so delicious you will be tempted to eat them, drink bottles and reusable straws you can take anywhere, toys, stationary, weta houses and gorgeous snail mausoleums, and beaded tree necklaces.There's something for everyone. Pop in on weekdays between 10am and 4pm, on Saturdays from 10am until 2pm, and don't forget our late nights listed above. Remember that you are invited to join us for our pre-Christmas drinks next Tuesday. 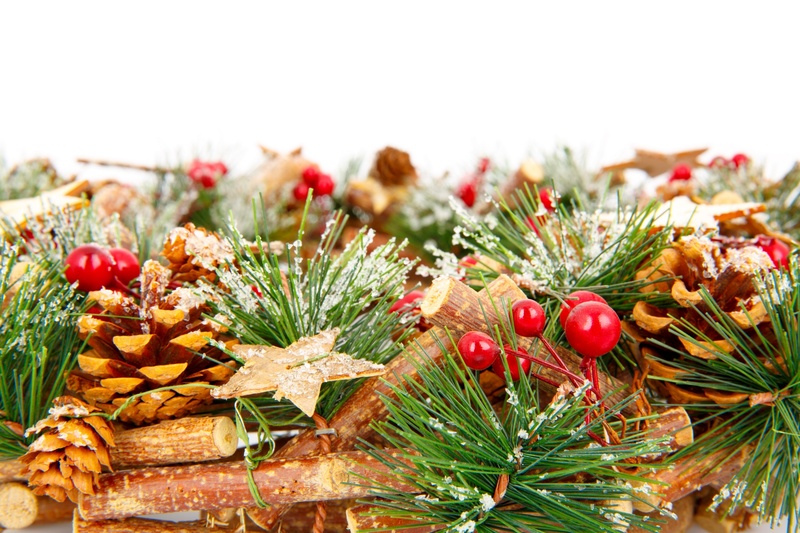 Join us to celebrate the year that has been and to enjoy some festive cheer with one another. Earlier this year the Residential Tenancies Amendment (RTA) Act came in to force which requires rental properties to comply with certain standards, including fire safety and insulation. There are currently insulation subsidies available, but once these are used up landlords will have to pay full price for their insulation. There will be a last minute rush, where all the landlords that haven’t planned ahead will need to have insulation installed. To avoid high prices from reputable companies, or to avoid poor quality work by fly-by-night/cowboy installers, get your property ready now! Getting your property up to standard can take longer than expected. Plan ahead and get your insulation installed in time to avoid a $4000 penalty. 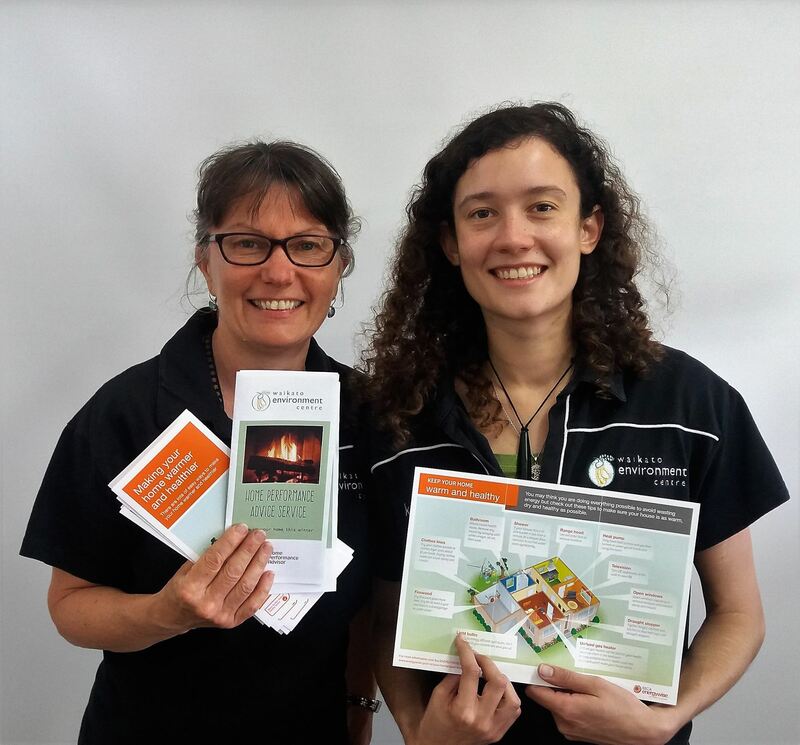 The Waikato Environment Centre now offers RTA Compliance Certification, and other services to help make sure your home is safe, healthy, and resource efficient. Tania and Camilla are both qualified Home Performance Advisors and can offer you a professional and supportive service that ensures you are given all the information you need to comply with legislation. Our service is competitively priced, with all profits going to support the Waikato Environment Centre and its many initiatives (including enabling us to run community workshops on creating safe, healthy, and environmentally sustainable homes). Earth Matters Radio Show has gone weekly! Waikato Regional Council have an exciting position in waste management and community engagement. 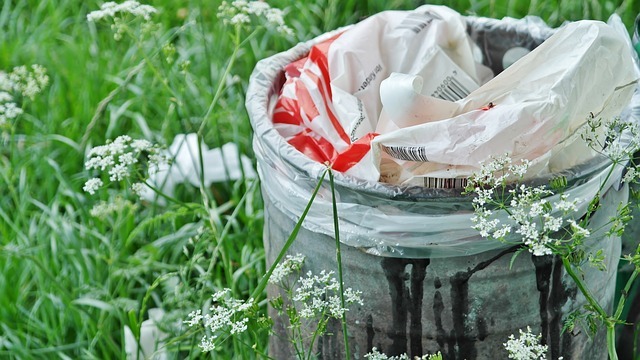 They are looking for a Waste Minimisation Facilitator to fill a 6-month secondment period. 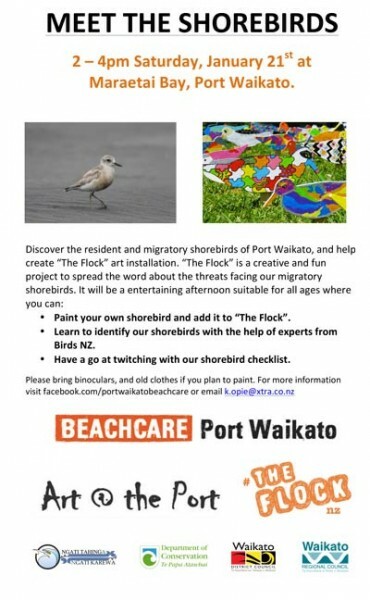 Check out the advertisement for more information or visit www.waikatoregion.govt.nz or phone 0800 800 401. 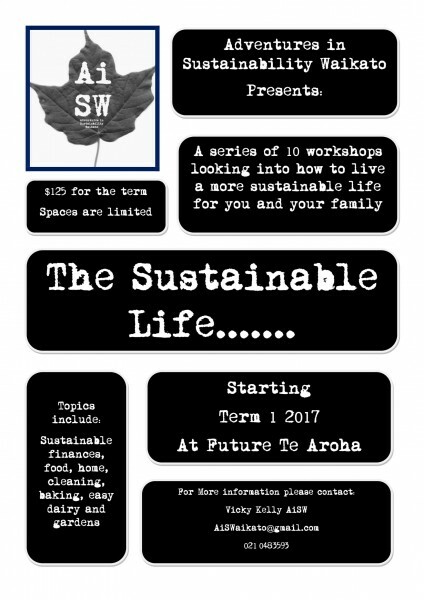 Adventures in Sustainability Waikato is running a series of workshops for the whole of next term on Tuesday nights in Te Aroha. Sign up soon (spaces are limited) to learn how to live a more sustainable life. See the poster below for more information. 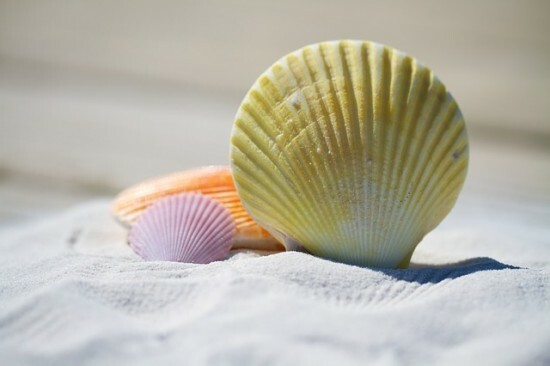 Today is the meteorological start of summer! It's going to be a busy few weeks before we break for the holidays. Below is information about upcoming events and news from the Waikato Environment Centre and community groups. 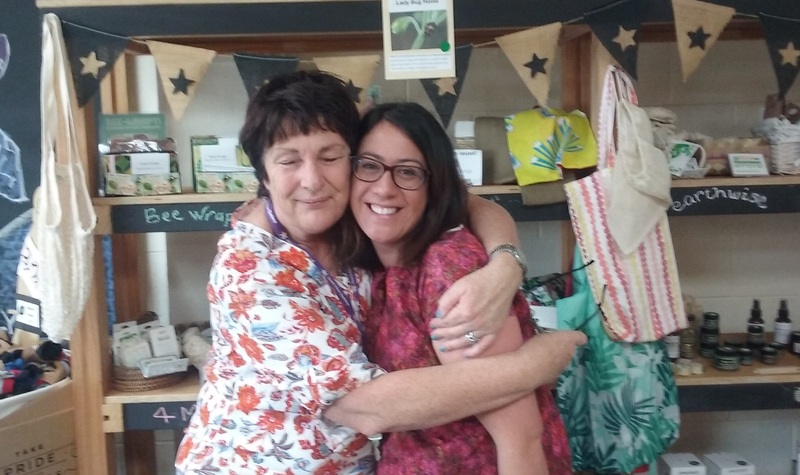 We are sad to announce that our retail guru, Jan, is leaving us before the end of the year. While we are excited about the new adventures ahead of her, she will be leaving behind big shoes that need to be filled. So, we have an exciting opportunity for an eco-minded retail whizz to join the team. We need someone to start in this role as soon as possible so get your application in quick. Knowledge of environmental issues or activities. The role is currently 25 hours per week, Monday to Friday; job share may be possible. For a full job description, or more information, please contact Sonia Fursdon, Manager at Waikato Environment Centre: sonia@envirocentre.org.nz, ph 07 839 4452. It's hard to believe that another year has almost passed and that the silly season is almost upon us. To show our gratitude for your support and to celebrate another awesome year, you are invited to drop by the centre at any time between 3.30 and 7pm on 13 December to enjoy some entertainment and fun, say hello, and have a drink with us. Mark it in your diary now. 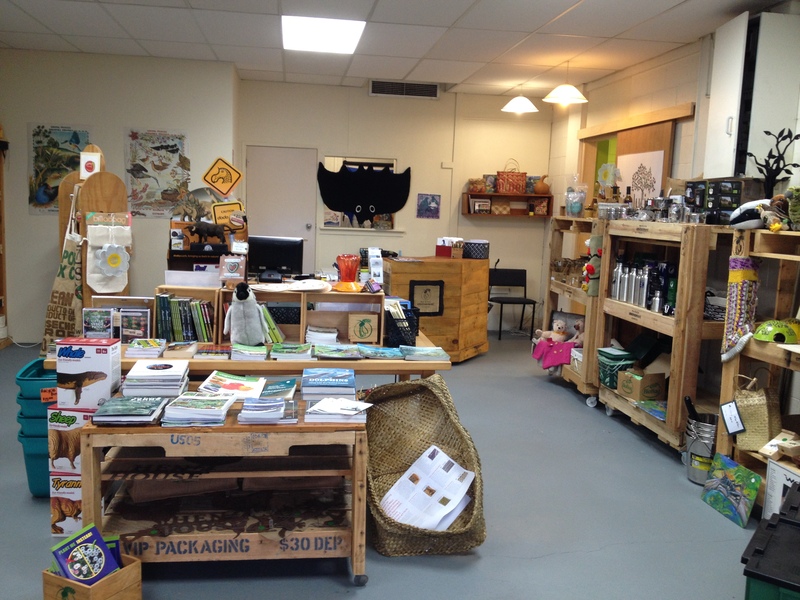 Marvellous Mondays continue to run at the Waikato Environment Centre from 12pm until 2pm. Next week there is no specific topic or presentation but there will be staff here who can answer your questions around things like our efficient home performance service and the Waikato TimeBank. So, please pop in and ask us your questions. It would also be a great time to bring in your e-waste for recycling (charges apply). 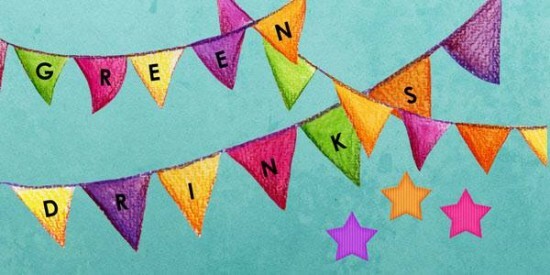 The end of the year is fast approaching but time for one last gathering on Thursday 15 December from 5.30-7pm at the Waikato Environment Centre. There will be drinks and nibbles, Andrea Soanes’ will tell stories from her recent trip to the subantarctic islands (amazing) and we will consider what we should input into the national executive for work next year. We will also consider support for each other for next year, including hosting a climate change education forum in conjunction with Seaweek at the beginning of March. Oh, and we will have a short AGM too. Hope you can make it. Please RSVP to me at c.eames@waikato.ac.nz by December 12 if you will attend. NZ Society of Soil Science, Waikato Museum and the University of Waikato invite you to celebrate World Soils Day on 5 December, 4-5.30pm at the Waikato Museum. View the attached invitation for more information about the programme. Marvelous Monday's at WEC are rolling on, with next week's session focused on Waste Minimisation. WEC staff just love to Talk Rubbish - it's true! And we have a fantastic Eco Store full of products that can help you reduce your waste. Unless we change our ways, by 2050 there will be more weight of plastic in the oceans than there are fish - yikes!! Visitors to Marvelous Monday are encouraged to join the Waikato Sustainability Network meeting (12-1.30pm) and listen to Emily Botje, HCC Asset Manager and Waste Expert, discuss Hamilton City Council Waste Management Proposals. Emily will provide you with the information and insights you need to make your submission on the Hamilton City Council Waste Management proposals due by the 30th of November. Waikato Sustainability Network meeting are held every four Monday of the month and cover a range of topic areas. These meetings, facilitated by Anna, will now feature as part of WEC's Marvelous Mondays! Help determine who will be Kiwibank’s next Predator Free Community by voting for your favourite. Watch the videos and choose the one you’d like to win. Then tell your friends to vote. The entries have also been placed on a map to show you where they are located in NZ. The ten communities with the most votes will become finalists and from those finalists the judges will choose five winners. The winners will be announced on the 2nd December at 5pm. 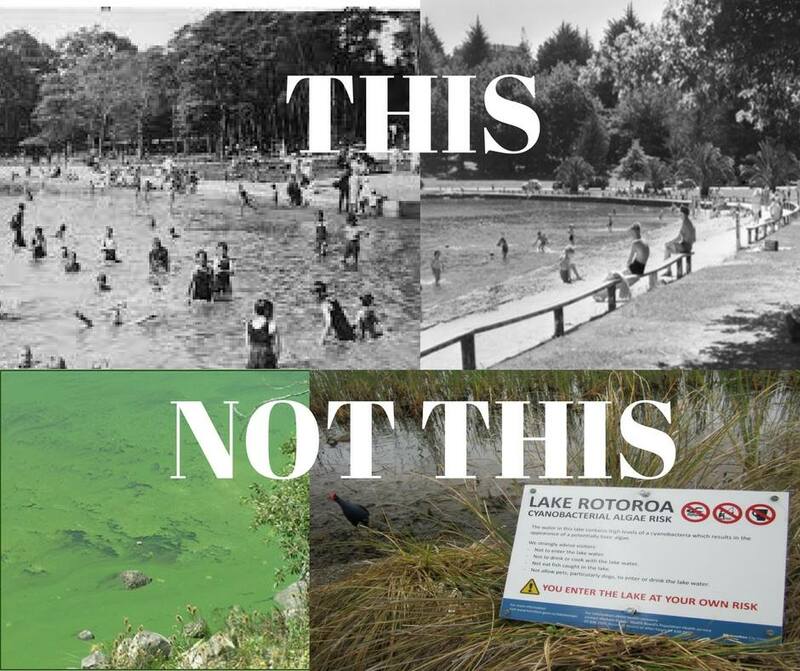 RESTORE wants a swimmable lake! If you want this too, please join us in making a submission on the Draft Lake Domain Management Plan: Submission to Hamilton City Council. Access the online form. This Saturday (TOMORROW), 1 - 3pm Hammond Park. Rain or shine, get your gumboots on and meet at the Malcolm street end of the boardwalk in Hammond Park, Riverlea. We will be weeding among the willows and elders and possibly clearing parts of the river bank depending on numbers and ability. Children are welcome (but not great for toddlers). What should I bring? Secateurs or gardening knife, long sleeves, gardening gloves - we can supply some if needed. And what about afterwards? Stick around for light refreshments (baking and drinks) afterwards onsite. The Board shall, as soon as practicable after the end of every financial year of the Board, cause the annual accounts of the Board for that financial year to be prepared by an accountant appointed by the Board for that purpose and the Board shall present the accounts to the annual meeting of the Trust together with an estimate of income and expenditure for the current year. An audit of the accounts by an accountant appointed by the Board, shall be voluntary. Allan Cunningham’s book, Precursor to the Flora of New Zealand, (compiled by Peter Heenan, Brian Molloy and Jeremy Rolfe) is to be published in early 2017. The book is being offered at a pre-publication price of $40 including GST and postage until 5 January 2017. After that date the price will increase to $50. The book can be ordered from the NZPCN online shop or by completing the form in the flyer. Please circulate the flyer widely through your newsletters or networks. Are you following the Mangaiti Gully Restoration Group blog site? An opportunity to be involved in environmental issues across the Waikato Region. The date has been set for the end of year do. It will be on the 28th November between 5:30 and 7:30. Bot Soc will provide drinks and nibbles. Everyone is invited to talk for 5 minutes and show some photos. It doesn't have to be botanically related. Contact: Kerry Jones, 027 747 0733. Cut the crap - RESTORE Lake Rotoroa: How is birdlife impacting on water quality and how can we solve the problem? Drop in between 12 and 2pm on Monday to find out more or ask any questions that you have been pondering. This urban design module focuses on our permaculture zones but increasing this scale across a city and region. The module will open your eyes and challenge your perception of what a city or town should look like. We will focus on where and how humans fit in today’s cities? We will also look at how to retrofit a city to embrace our permaculture principles. How do we use these principles to create more liveable and connected cities. Reflect on water management, energy production and use, food production, social connection, transport, resource efficiency through sharing. We will also visit Heidi Mardon’s sustainable house in Hamilton City, and will look at a range of strategies to reduce your ecological footprint using sustainable design and building projects. Cost is $135 (Discount available for WEC members). To find out more or book your place, contact Jan on permaculture@envirocentre.org.nz or call us on 07 839 4452. Join Waikato Environment Centre, MeloYelo and electric bike expert Bruce McKenzie for a free workshop. 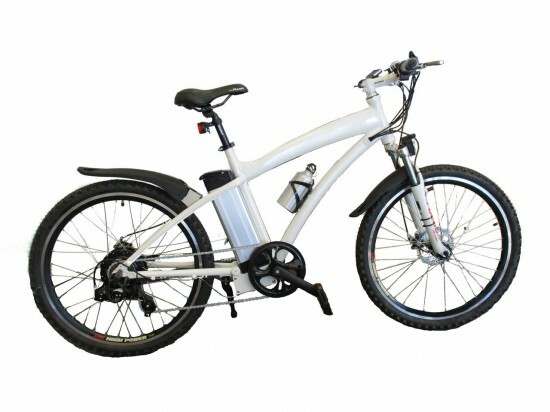 Learn about the benefits of electric bikes; the pros and cons of buying a new electric bike versus convering your exising bike; evaluate whether your bike is suitable for converting to electric; what the conversion process involves and what tools you need; doing your own conversion, versus getting expert help; new electric bikes: an overview; Q&A; and test rides. Please join us to celebrate the passing of another great year at the centre and to look forward to the future. 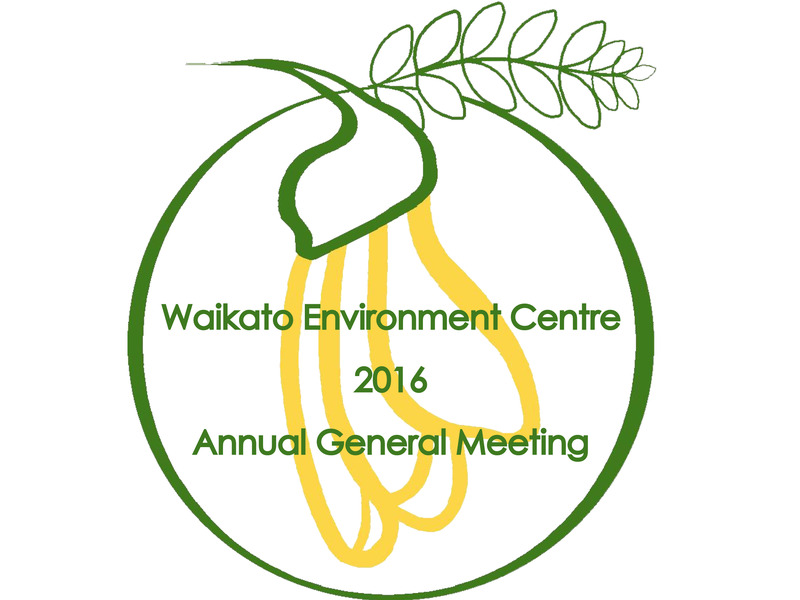 Our AGM is on Tuesday the 22nd of November, starting 5.30pm at the Waikato Environment Centre. Drinks and nibbles are on us so to help us ensure there is enough to go around, please RSVP to admin@envirocentre.org.nz by 18 November. There are a number of awesome people putting their hands up to join our already awesome board. If you are a member of the Waikato Environment Centre, then you will be eligible to vote at the AGM. Contact Jan using the email address above to find out more about becoming a WEC member. Please join us in bringing our board into being for the following year! The AGM agenda and trustee nomination form are attached below. Well it has been a spring like no other. Calving did not go as planned this year but things are finally getting settled. Learn about the ins and outs of Managing a House Cow at a two day course this weekend - two places left. Management, milking, butter, yoghurt and cheese making discussed and demonstrated during a social live-in weekend. This course will contain aspects of horticulture, arboriculture and landscape construction. This course is intended for people without a qualification (or year 12 school students) that would like to work outside doing garden maintenance, planting and pruning trees, and building the structures needed in a garden, and that later on would like to progress to a higher qualification in arboriculture, horticulture or landscape design/construction. Fresh Green Start is a hands-on, practical programme where students work with their classmates to build and create a food garden. The classroom is not confined to just a room, but a garden where we will be doing the building, planting and growing plants from seeds and cuttings. Applicants do not need any qualifications, previous experience or skills for enrol in this course. We will show them how to do everything they need to do. We will be potting at 172 West Rd on Friday 18th November from 9am to noon. We look forward to your help there. Bring morning tea and if you are unsure of anything ring me on 078558296 or email me at blchsmiths@gmail.com. working with Tautoko Waikato and Hamilton Boys High School, Community Fruit Hamilton are holding the Christmas Bake Off on Sat 3 December in the Foodtech kitchen at the school. Our goal is to make up treat boxes of baked goods which include choc chip biscuits, sugar cookies, peanut brittle, caramel corn and Christmas muffins. Condensed milk for the biscuit recipe, choc chips or any other baking supplies (not sugar please, we have that), non-perishable Christmas themed food. Donations can be dropped off at the Waikato Environment Centre, Peachgrove Road, or sent in to HBHS with your son. Local attractions including Te Kauri Lodge Museum. Kōkako Recovery update. John Innes, Wildlife Ecologist in the Biodiversity and Conservation Team at Landcare Research will tell us the latest from the national Kōkako Recovery programme. John’s research with North Island kōkako clarified key roles of ship rats and possums as decline agents, resulting in experimental management that recovered kōkako and spurred the development of ‘mainland islands’ for broader objectives. John has been on the Kokako Recovery Group since its inception, as well as the kaki (black stilt) and kākāpō teams; has worked with dabchicks, black-billed gulls, kereru and tui, and has had a long interest in ship rats. Small Animals And Orchards: Your Chance to See This in Action!